One of the hottest trends this season for men, women and children is the boat shoe. A cross between a classic loafer and a traditional moccasin, a boat shoe lends a nautical vibe to any casual or preppy outfit. Due to their increasing popularity, the boat shoe can be found in a variety of materials and colors to suit every outfit in your wardrobe. Canvas boat shoes look great with khaki cargo shorts and basic denim jeans. Leather boat shoes look quirky and chic with a spring dress and cardigan or pair of creased dress pants. Color-blocked boat shoes pair great with flippy skirts and solid colors. Couture designers are putting their stamp on the boat shoe market by designing monogrammed logo styles that feature recognized designs, studs, rhinestones and other eye-catching details that every fashionista will love. The great thing about the modern boat shoe is that comfort can guaranteed from the first wearing. As opposed to leather dress shoes and high heels, most boat shoes require very little breaking in time, so you can pull them out of the box and slip them on for instant comfort and style. 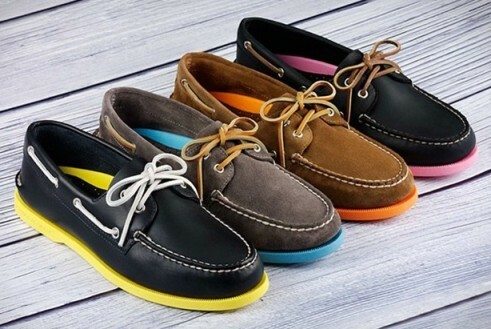 Shopping for boat shoes online offers many benefits over traditional brick-and-mortar stores. Aside from free shipping, online retailers offer extended sizes, more styles to choose from and great sale prices. Finding the best boat shoes online is as easy as clicking on the pair you love, adding them to your virtual shopping cart and trying them on in the comfort and convenience of your own home. You get to try on fresh-out-of-the-box shoes that have only been worn by your feet, and you will fall in love with their instant comfort and ease of wear. Peltz Shoes is an example of a retailer with a wide range of leather, canvas, color-blocked, mesh and suede boat shoes for the entire family. 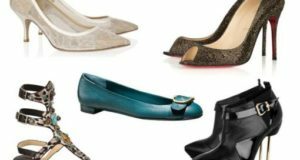 They offer free shipping on orders of $69.99 or more, and they even have store locations for the shopper who loves the experience of smelling and touching the supple leather and suede when shopping for shoes.